These reverse osmosis membranes are layers of material with an active aromatic polyamide layer that allows water molecules through, but screens out 99 to 99.9 percent of the salt. "As water stresses continue to grow, better membrane filtration materials are needed to enhance water recovery, prevent fouling, and extend filtration module lifetimes while maintaining reasonable costs to ensure accessibility throughout the world," said Enrique Gomez, professor of chemical engineering, Penn State. "Knowing what the material looks like on the inside, and understanding how this microstructure affects water transport properties, is crucial to designing next-generation membranes with longer operational lifetimes that can function under a diverse set of conditions." Gomez and his team looked at the internal structure of the polyamide film using high-angle annular dark field scanning transmission electron microscopy (HAADF-STEM) tomography. 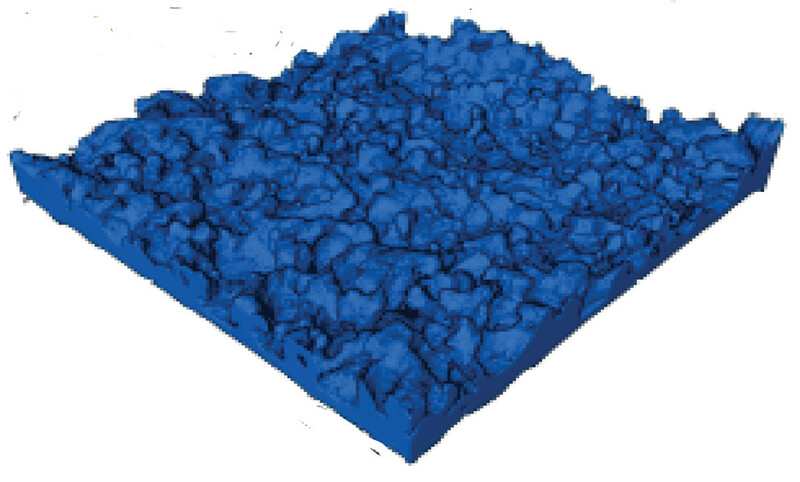 HAADF-STEM's image intensity is directly proportional to the density of the material, allowing mapping of the material to nanoscale resolution. "We found that the density of the polyamide layer is not homogeneous," said Gomez. "But instead varies throughout the film and, in this case, is highest at the surface." This discovery changes the way the engineers think about how water moves through this material, because the resistance to flow is not homogeneous and is highest at the membrane surface. HAADF-STEM allowed the researchers to construct 3D models of the membrane's internal structure. With these models, they can analyze the structural components and determine which characteristics must remain for the membrane to function and which could be manipulated to improve membrane longevity, antifouling, and enhance water recovery. Another characteristic revealed through HAADF-STEM was the presence, or rather absence, of previously reported enclosed voids. Researchers thought that the membranes fine structure would contain enclosed void spaces that could trap water and alter flow patterns. The 3D models show that there are few closed voids in the state-of-the-art material studied. 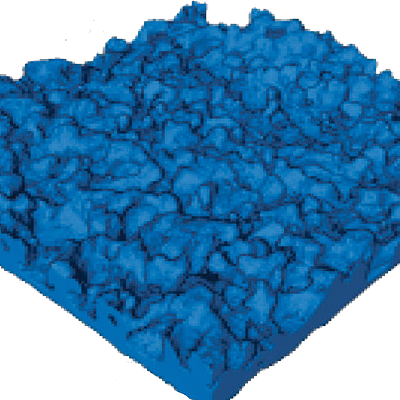 "Local variations in porosity, density and surface area will lead to heterogeneity in flux within membranes, such that connecting chemistry, microstructure and performance of membranes for reverse osmosis, ultrafiltration, virus and protein filtration, and gas separations will require 3D reconstructions from techniques such as electron tomography," the researchers report in a recent issue of Proceedings of the National Academy of Sciences. The researchers would like to push the resolution of this technique to below 1 nanometer resolution. "We don't know if sub nanometer pores exist in these materials and we want to be able to push our techniques to see whether these channels exist," said Gomez. "We also want to map how flow moves through these materials to directly connect how the microstructure affects water flow, by marking or staining the membrane with special compounds that can flow through the membrane and be visualized in the electron microscope." Other researchers from Penn State on this project are Tyler Culp, Yue-xiao Shen and Michael Geitener, graduate students in chemical engineering; and Manish Kumar, associate professor of chemical engineering, who co-led the work. The project was a close collaboration between Penn State and Dow Chemical Company. Also on the project are Abhishek Roy, principal research scientist; Michael Behr, R&D group leader; Steve Rosenberg, research fellow, R&D; and Junsi Gu, associate research scientist; all at the Dow Chemical Company; and Mou Paul, research scientist, DOW Water & Process Solutions. The Dow Chemical Company is now DowDuPont, Inc. The Dow Chemical Company and the National Science Foundation sponsored this work.